As time progresses gradually since Android Lollipop’s launch, slowly but surely we’re seeing the number of devices on which the operating system can be installed increase. 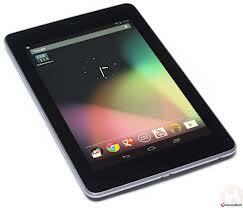 Of particular attention are Google’s Nexus devices, which are the first ones to come with the latest Android on board. To root Android Lollipop on our Nexus device, head over here. Improve Your Nexus 7 Performance After Rooting Android Lollipop In A Few Easy Steps. If you’re a Nexus 7 (2012) user and have recently rooted Android Lollipop on your device, things should be going pretty smoothly for you. After all, the OS is expected to bring several performance, security and power consumption improvements on those, many of which several Android users are eagerly anticipating for their devices. But if you’ve rooted Android Lollipop and see that your device is slowing down, don’t give up hope just yet. You can improve your device’s performance and experience Android Lollipop in its fullest in just a couple of easy to follow steps. One possible reason for this issue is said to be a problem with your device’s cache. If you’re an experienced user, try clearing your device cache to check for performance improvements. To clear your device cache, start by powering off your Nexus 7. Once the screen goes blank, hold down the power and volume buttons together until you notice a red arrow on the top of your screen. Select this arrow by pressing the power button once again. This will cause an Android mascot and a red triangle with an exclamation mark to pop up on your screen. Select this by holding down the power button, pressing the volume button and then releasing the power button. You should now see a list of options on your screen. Use the power button on your Nexus 7 to select “erase or wipe the cache partition.” Reboot your device once the process is complete and you’re done. Your Nexus 7 should now be working fine. Let us know in the comments section about whether this solved your problem.